The New York Giants come into 2011off of a disappointing finish to the 2010 season. They finished with a 10-6 record, but still missed the post season. The Giants can only blame themselves after blowing a 31-10 lead in the 4th quarter against the Eagles in Week 15. (http://razzandjazzsports.wordpress.com/2010/12/22/giants-on-wrong-side-of-history-epic-collapse-to-eagles-by-jason-clinkscales/) Winning that game would have pretty much cemented a playoff spot. 2011, however, brings new life, and the G-Men return with a solid squad in just about every unit. A strong running back duo with Brandon Jacobs, and Ahmad Bradshaw, a talented receiving core composed of Mario Manningham, Hakeem Nicks, and Steve Smith whom they hope to resign, a sound secondary, featuring rising star Terrell Thomas, Corey Webster, and #1 draft pick Prince Amukamara present a well-balanced Giants team. Eli Manning, entering his ninth season, still needs to find consistency, but he is a proven winner and leader. The defensive line may take a step back if Osi Umenyoira gets traded, but will still be strong regardless. The offensive line has been together for a long time, and has a load of experience and chemistry. This team has the talent to make the playoffs in the NFC, and if they can play consistently and finish games, will be poised to make a Super Bowl run. The Philadelphia Eagles had a resurgent season in 2010 sparked by the MVP-caliber play of quarterback Michael Vick. Philadelphia is loaded with playmakers, with Vick, DeSean Jackson, Jeremy Macklin, and LeSean McCoy. They also landed the biggest free agent of the off season by signing shut down cornerback Nnamdi Asomugha. Currently the Eagles have a cornerback core of Asomugha, Rodgers-Cromartie, and Asante Samuel, which is arguably the best in the league. Their success, however, will depend on the health of Mike Vick. The addition of Vince Young as an insurance policy is a nice acquisition, but the fate of this season rests on Vick’s shoulders. If he can duplicate last year’s magic, the Eagles will have a chance to win every game, and with an improved defense, they will be a force to be reckoned with. Philadelphia is the favorite to win the NFC East, and is a sure-fire threat to go all the way. New York Jets head coach Rex Ryan thinks the team should be #1 on the list. Well he thinks that every year. But this year may be the most legit. Mark Sanchez is now entering his third season, and can no longer use the “young quarterback” excuse. He is poised to have a breakout year and has all the tools to do so. A receiving duo of Santonio Holmes and Plaxico Burress should give opposing defenses lots of problems. Burress hasn’t played in two years, which means he will need some time to get reacquainted with the rigors of being an NFL wideout. But his two-year absence also means two less years of wear and tear, allowing him to have a fresh body. If he can be 80% of what he was before the incident, that’s better then most receivers in the league. The defense will again be one of the tops in the league, featuring all world cornerback Darrelle Revis, along with the potent blitzing schemes of Rex Ryan. Confidence has never been an issue with this team, and after being eliminated from the playoffs the last two seasons, the Jets will be hungrier than ever to take the next steps. The defending Super Bowl champs return in 2011 with a loaded squad once again. Aaron Rodgers has proven that he is a top-tier quarterback, and has the weapons to compliment his abilities. Greg Jennings, Jordy Nelson, Brett Swain, James Jones, and Donald Driver may be the best receiving core in the league. Brandon Jackson has potential at running back. If he can step up, and give the Packers a ground game that they aren’t accustomed to having, the offense will be almost impossible to stop. The defense is stacked with studs such as A.J. Hawk, Clay Matthews, and seven-time pro bowler Charles Woodson, along with one of the best safeties in the game in Nick Collins. Green Bay is strong on all fronts, and with the experience from winning a championship last season, there is no reason that they won’t be ready to do it again. 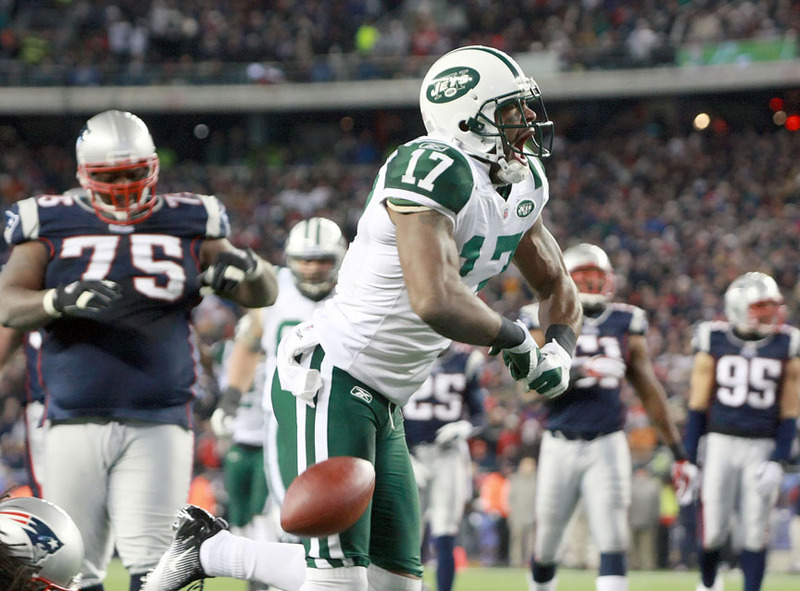 The New England Patriots finished 2010 with the best record in the NFL at 14-2, but fell short, losing to the Jets in the playoffs 28-21. (http://razzandjazzsports.wordpress.com/2011/01/18/jets-beat-pats/) They obviously were not happy about this. So what did they do ? They signed defensive tackle Albert Haynesworth, and wide receiver Chad Ochocinco (I still can’t believe this guy really changed his last name to Spanish numerals). Haynesworth was once considered one of the most fearsome defensive players in the league, but after a flame out with the Washington Redskins, his stock has dropped. Playing for head coach Bill Belichick is just what he needs to resurrect his career. The Patriots have a habit of revitalizing “declining” stars. Randy Moss and Corey Dillon are two examples. If Haynesworth can regain his previous form, this upgrades the Patriots defense tremendously. Chad Ochocinco, regardless of his off the field antics, is still a talented and gifted wide receiver. He is coming off a down year with only 837 receiving yards, but all signs point to him being rejuvenated by signing with New England. The returning Patriot players aren’t bad either. Quarterback Tom Brady, wide receiver Wes Welker, and tight end Aaron Hernandez all had stellar 2010 seasons. Bill Belichick is one the best coaches in NFL history, and may have his most talented team to date. New England has won the offseason battle with their two big signings, and are the favorites to win the battle on the field in 2011. Next Story → Daily Debate: Who Will Win the Boston/New York Series This Weekend? Good Choices. But I think the Giants are a stretch. Would like to see the Jets in the Big game. Thanks. I agree that the Giants are a stretch. They’re my team and I have lots of faith in them. You don’t know how much it hurt me to put the Jets, and the Patriots ahead of them. Fan read Charu, thank you. Big Blue has as much talent as any team in the NFL I believe. They are loaded on both sides of the ball. Their only weakness in my eyes is the linebacker position. They better nit trade Osi. That would be a season breaker in my eyes, or it would be at least a potential season breaker. Thanks Samori. Yeah I agree that the LB position is the Giants only weakness as it was last year. And yes they need to keep Osi, or trade him for a player of equal or greater value. The Pittsburgh Steelers should be in the top five with the New York Giants being out. I would also have to put the Green Bay Packers first. They won it all last year and should be better. I would put the Steelers third as well, and the Philadelphia Eagles fourth, with the New York Jets fifth.